Feeling thirsty? 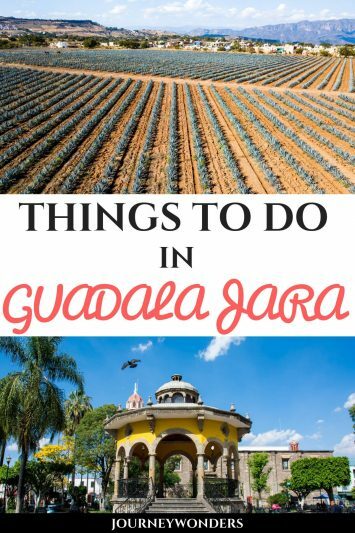 Here’s all about how to enjoy the Best Tequila Day Trip from Guadalajara as well as the other Wonderful Day Trips you can enjoy from Guadalajara. Enjoy my wonder friends! If you’re an adult (or even if you’re not), you probably have experienced that amazing drink called Tequila at least once or twice in your lifetime. But hey, did you know that there’s a town in Mexico called Tequila from which the drink of the Gods comes from? Yes, you heard that right! 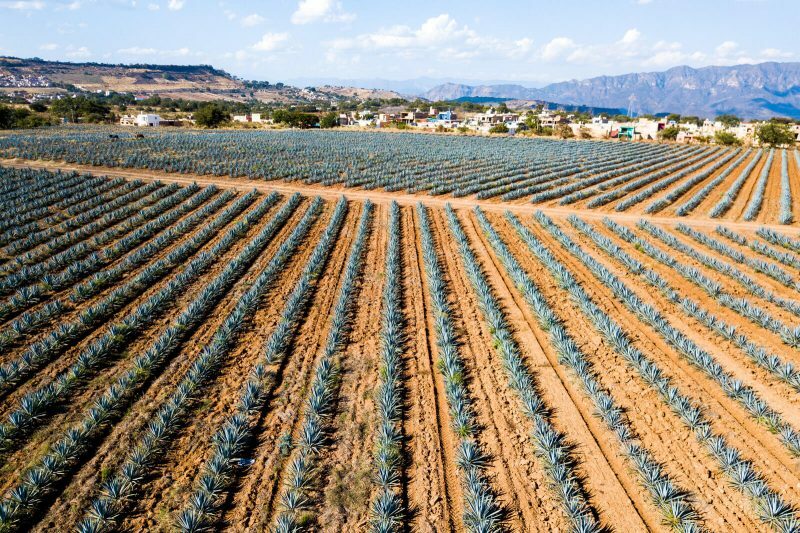 Located a couple of hours outside of Guadalajara, the town of Tequila will enchant all of your senses with unlimited tastings and more including visiting a distillery to learn how Tequila is made from the weird pineapple-looking Agave plant. Look at all of these Tequila babies! Ain’t they cute? 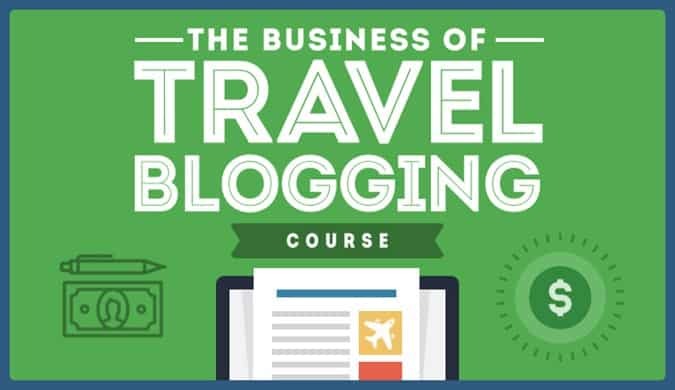 I hope you will enjoy this article about how to organize an epic day trip to Tequila from Guadalajara but that’s not all!!! After all, if you base yourself in Guadalajara, why just go to Tequila? 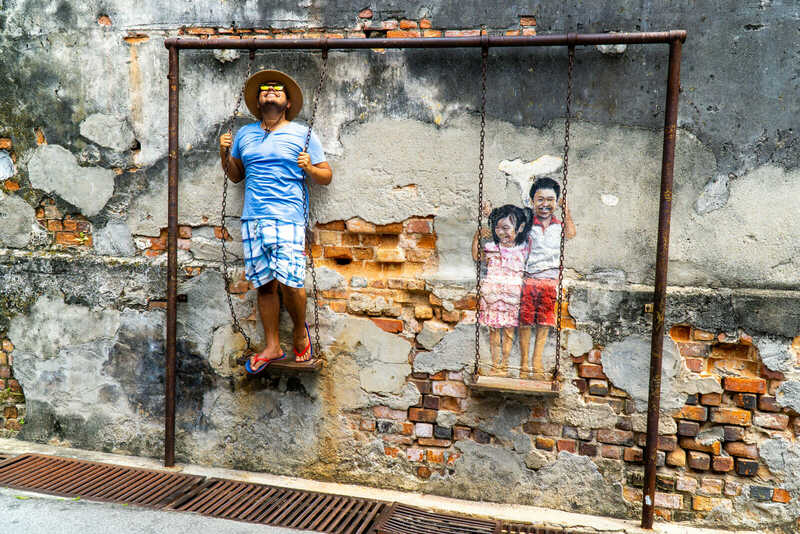 Why not explore more of the area? Mexico has a fair share of Pueblos Mágicos (Magical Towns) and the state of Jalisco (of which Guadalajara is the capital) is the state that has the biggest number of them all. 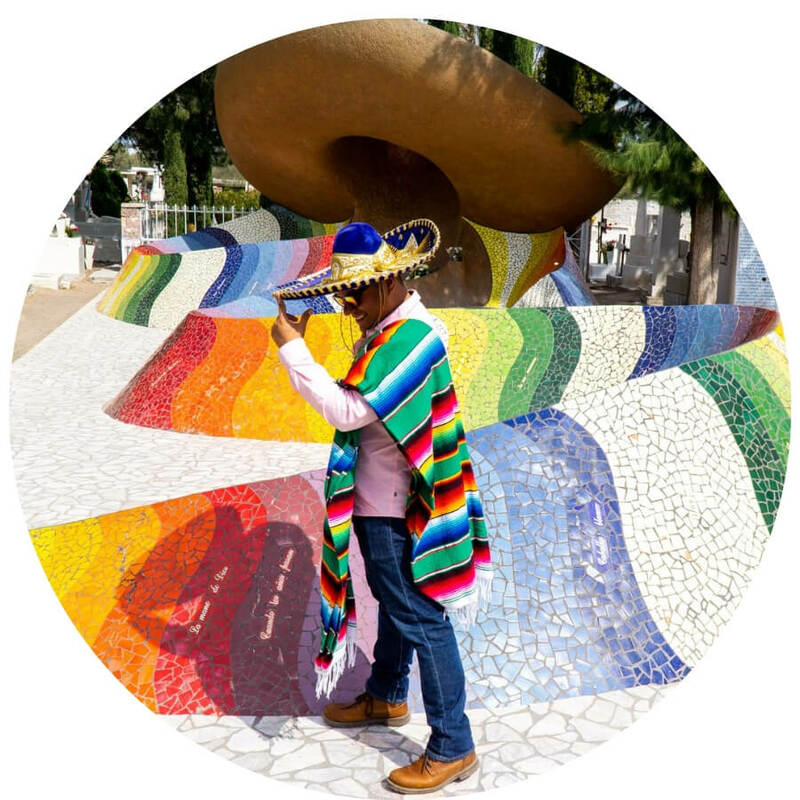 Find out some of my favorite Guadalajara Day Trips here my wonder friends and start planning your travels to this wonderful destination! Contrary to popular culture, the ancient inhabitants of Mexico did NOT know that the agave plant could be distilled into an alcoholic drink. 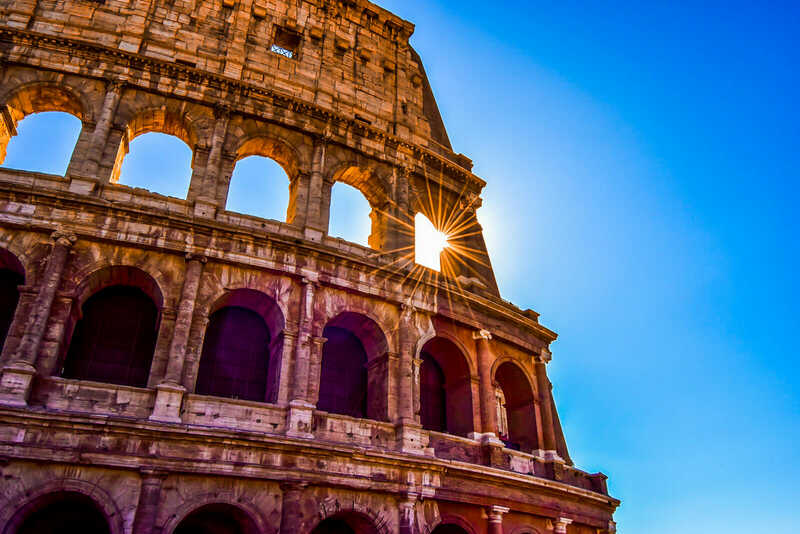 Yes, that’s right: the so-called drink of the Gods was first made by the Spaniard conquerors that arrived to these lands. That being said, Tequila (the drink) is a very important part of Mexico’s culture and taking a tour to a distillery in Tequila (the town) is a must-do if you’re in the area and I recommend you to wait until you’re in Tequila itself to negotiate a price for a tour since it’ll be cheaper than hiring a Tequila Day Trip from Guadalajara. In fact, for the extremely cheap price of 250 MXN (around 14 USD give or take), I was able to negotiate a distillery tour, a visit to the agave plantations and yes, unlimited Tequila shots all day long. YES, you heard that right!!! UNLIMITED.TEQUILA.SHOTS. After learning some local folklore at Tequila town (including the ritual that the First Lady of Mexico did before she met her future hubby), we arrived at one of the distilleries (Casa Orendain) where we learned the process of how Tequila is made followed by a tasting of the one thousand one types (give or take a few hundred) of Tequila they’re producing. 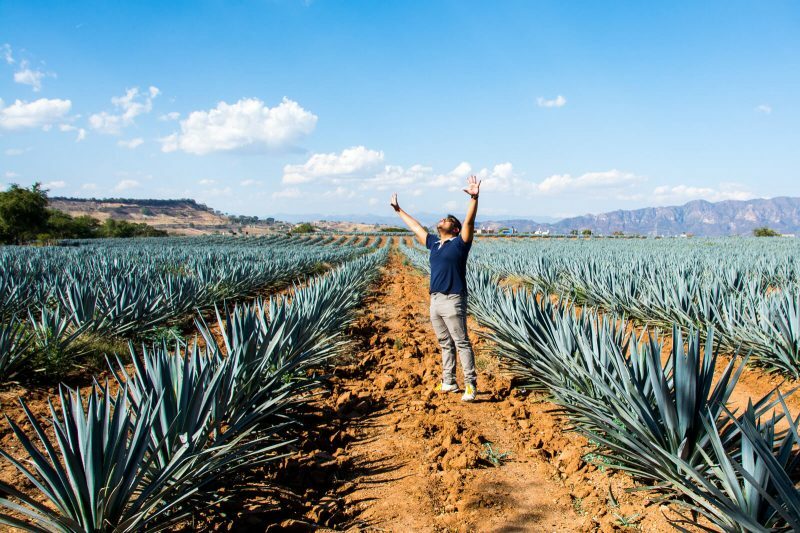 As you can imagine, I was extremely tipsy by the time we made it to the agave fields located a few KM away from Tequila and boy was my mind blown away by the sight of how many Tequila babies were right before my eyes. “Don’t measure the agave plants by size, measure them by how epic the party will be” our guide said before he passed out under the sun. After flying the drone and thanking the Tequila Gods because it didn’t crash, we made it back to Tequila Town and we were told that with our bracelet we were entitled to free tequila tasting all day long at Casa Orendain’s shop in Tequla Town. ALL.DAY.LONG. 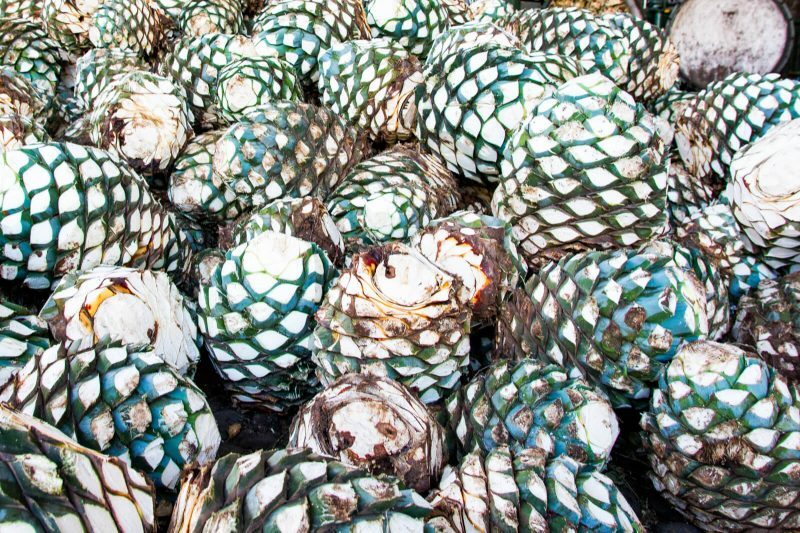 What an epic Tequila Day Trip of Wonders, right? From Guadalajara, the cheapest way to reach Tequila Town is to go the Old Bus Central (the New Bus Central is actually in Tlaquepaque while the Old Bus Central is in Guadalajara itself) and catch the hourly bus to Tequila (check schedule of Buses from Guadalajara to Tequila here). 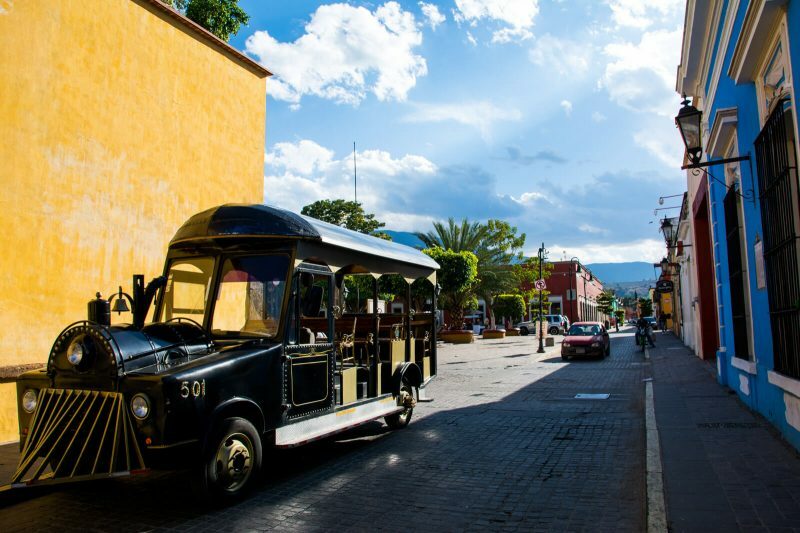 The bus takes 2 hours to reach Tequila and has a price of approximately 9 USD round-trip. It is an A/C Bus with reclining seats and badly dubbed movies so be sure to download some Netflix shows to your phone or tablet beforehand. Alternatively, you can take the Tequila Express Train (only certain days of the month) although that’s gonna cost you. A LOT. 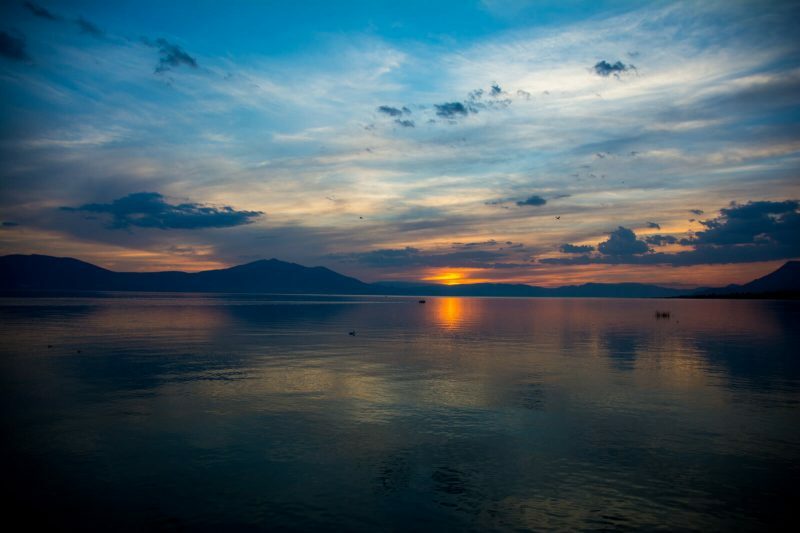 When it comes to natural wonders, Jalisco never disappoints and Lake Chapala is definitely one of its best wonders. 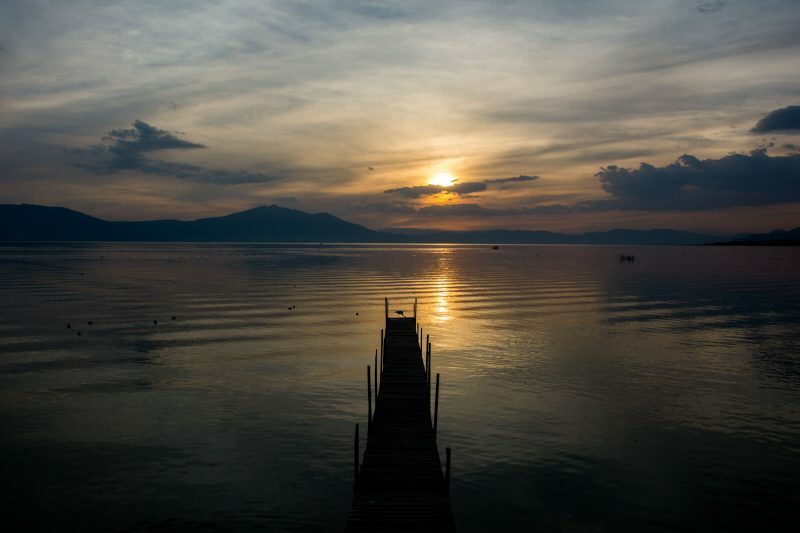 Located less than an hour away from Guadalajara, Chapala makes for the ideal romantic weekend getaway of wonders. 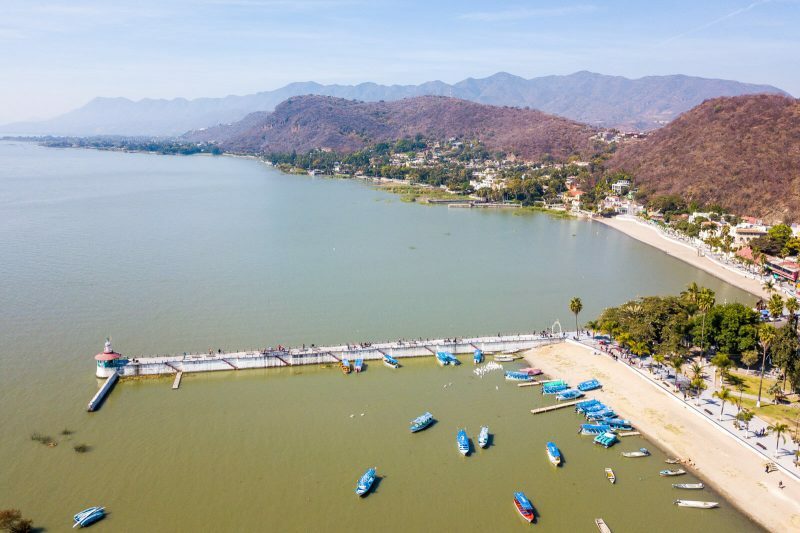 Featuring a sand beach from where you can watch the sunset, a long pier for bird-watching and many delicious restaurants (definitely try out the molcajete which is a hot ceramic vase with a mix of cheese beef chicken shrimps and vegetables), Chapala will convince you to return again and again. I mean, how cool is this view taken from the skies with the drone (this time 100% sober I pinky promise)? 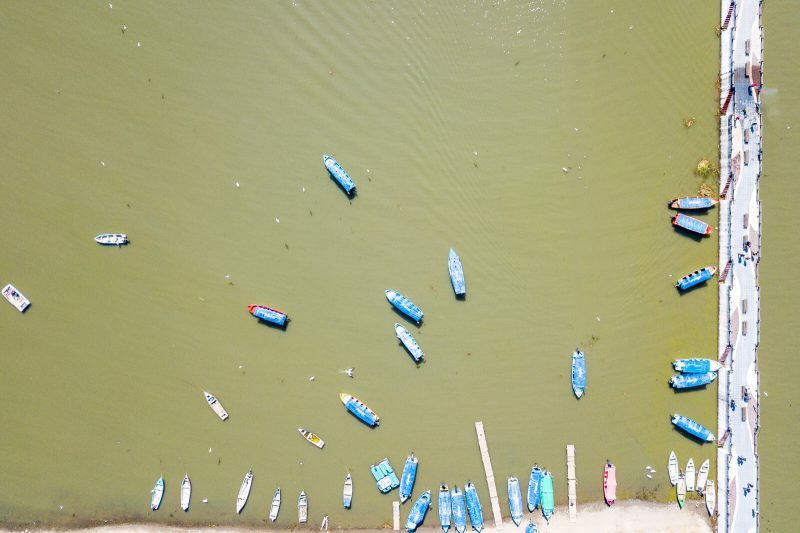 Other than relaxing (and eating), there isn’t much to DO in Chapala per se other than taking a boat trip to the Island of the Scorpions (Isla de los Alacranes) in the middle of the lake. Now, don’t be afraid, the only giant scorpions you will find are going to be sculptures but the feeling of the breeze as you navigate in the boat will make it a very nice side-excursion my wonder friends. Other than that, just relax, be happy and enjoy one of the most beautiful sunsets in Mexico your eyes will ever see. Trust me, you’ll love every second of it. Similar to Tequila, the departing point for buses to Chapala is Guadalajara’s Old Bus Central from which you can catch departures to Chapala every 30 minutes. The price for the direct bus is approximately 5 USD round-trip and it is a very comfy A/C ride trough the beautiful mountains of Jalisco and you will be in Chapala in no time (give or take 45-60 minutes depending on traffic exiting Guadalajara). From the Chapala Bus Station, Chapala Lake is just 10 minutes away if you keep walking on the main street. Beautiful ain’t it ? If you’re looking to visit something smaller yet beautiful, a visit to Tlaquepaque from Guadalajara is very well recommended. 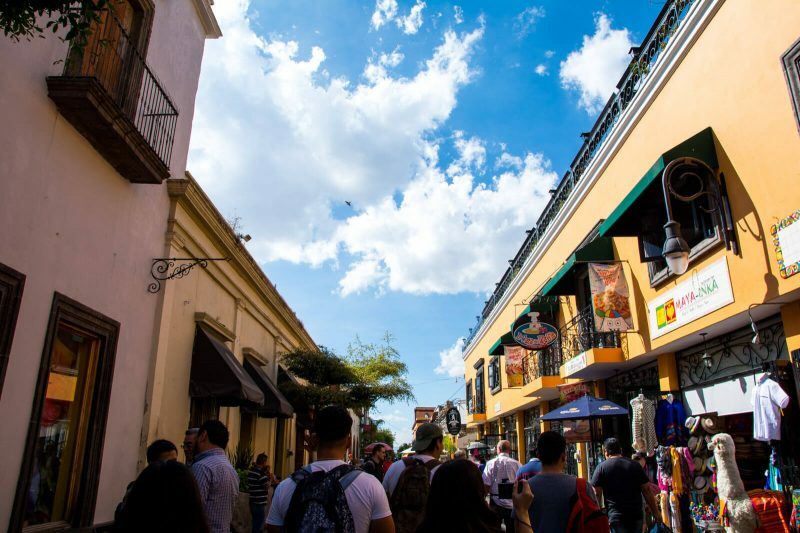 Featuring Mariachi shows and a shopping pedestrian street, Tlaquepaque is the perfect day-break for all. Also, did I mention the many culinary options you can find here? From tortas ahogadas (basically a pork sandwich drowned in salsa) to tamales, quesadillas, pozole, sopes, tacos al pastor and much more. If you suffer of a constant hungerlust like me, Tlaquepaque has everything to please you! 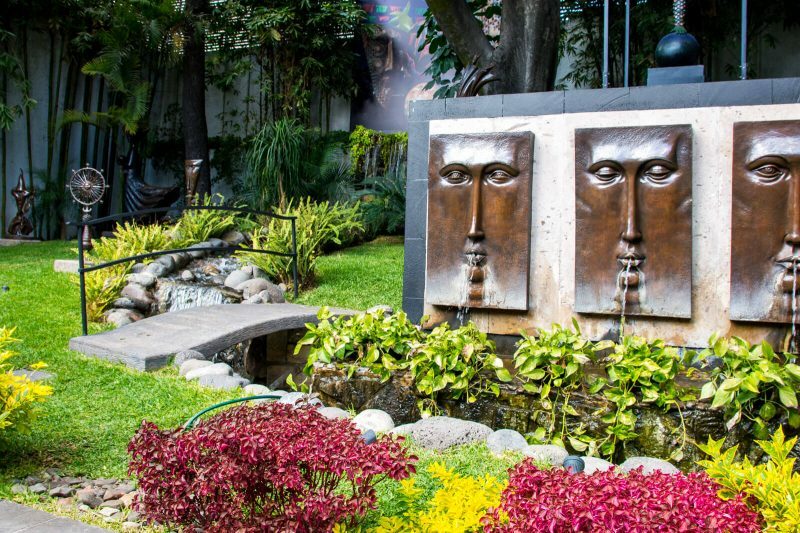 Tlaquepaque is also renowned for its many Art Galleries featuring the work of Mexico’s best stablished and up and coming artists so even if you’re not planning on buying anything, you can just window shop and be amazed by the Mexican creative mind. My personal favorite? The art gallery of Mexican sculptor Sergio Bustamente who specializes in weird humanoid figures with a Dorito-shaped head as well as fantastic creatures that wouldn’t be out of place in a Harry Potter movie. Plus, look at how beautiful the garden of the gallery is!!! Isn’t this the perfect picnic fairytale setting? From Guadalajara downtown you can take local buses to reach Tlaquepaque although I definitely recommend you to use Uber or Cabify (3-5 USD single trip) to get there faster and without any hassle. 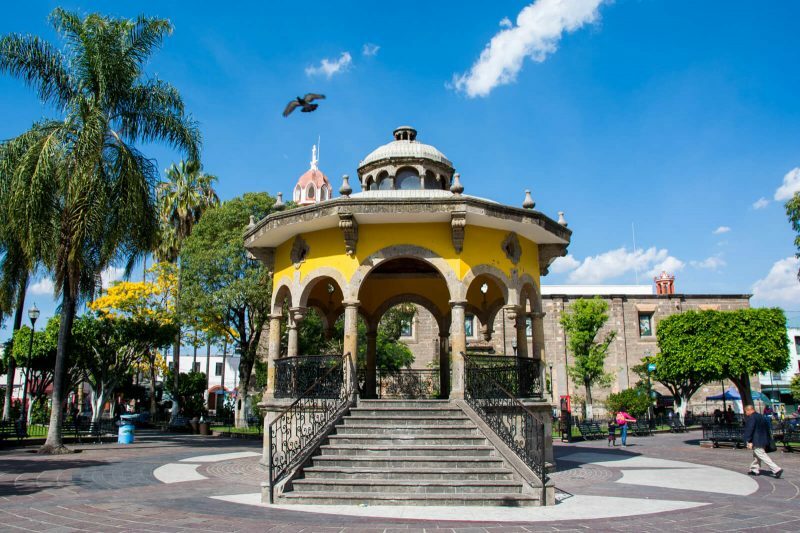 Despite being a separate town, Tlaquepaque is basically part of the Guadalajara Metropolitan Zone so it is really well-connected in terms of roads and streets. 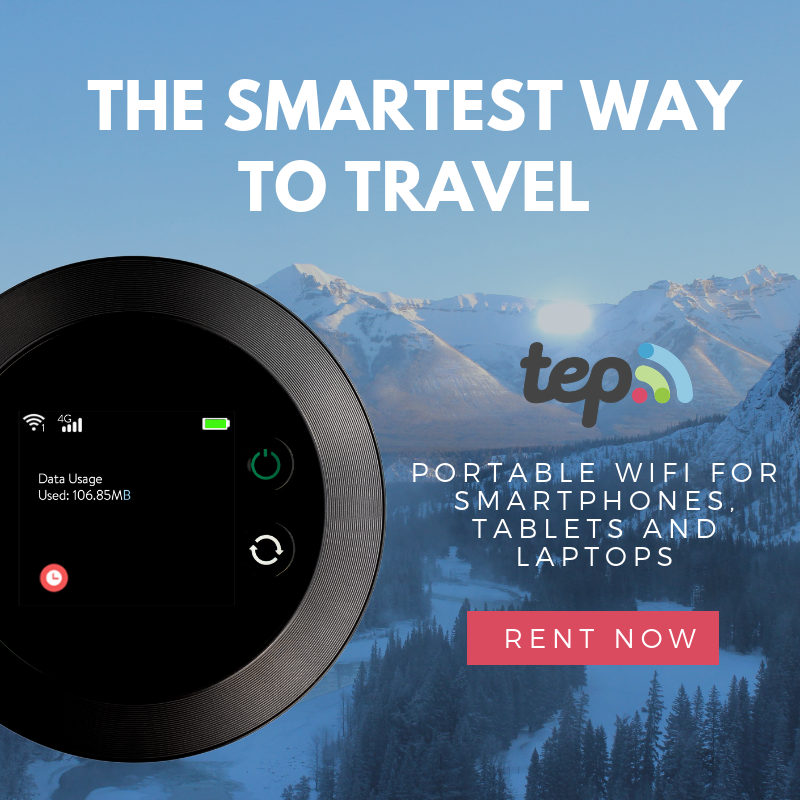 The New Bus Central (for onward travel to cities outside of Jalisco) is also located in Tlaquepaque so you can kill two birds with one stone and time your visit to Tlaquepaque on either your first or last day in Jalisco. Guadalajara is Mexico’s second biggest city after Mexico City and it is one of the most important hubs of art and culture in the country (Oscar Winner Guillermo del Toro was born here after all!!!). It is located 6 hours away from Mexico City by bus (check out the Best Day Trips from Mexico City here), 4 hours away from the extremely beautiful colonial city of Guanajuato and 4 hours from San Miguel de Allende. 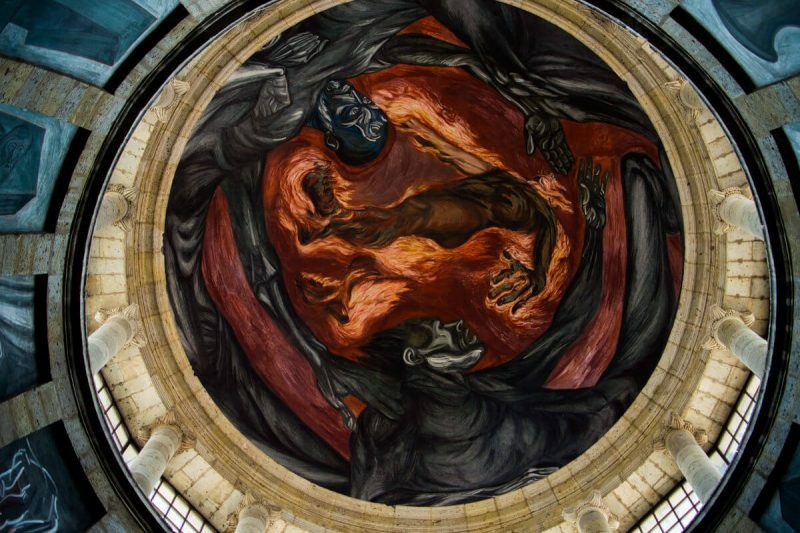 There are many things to do and see in Guadalajara such as the Hospicio Cabañas (for some kickass murals), the beautiful Historical Center (with a truly majestic Cathedral) and the Plaza del Mariachi (so you can serenade your loved one). For all of this and more, a visit to Guadalajara is really recommended next time you’re in Mexico my wonder friends. 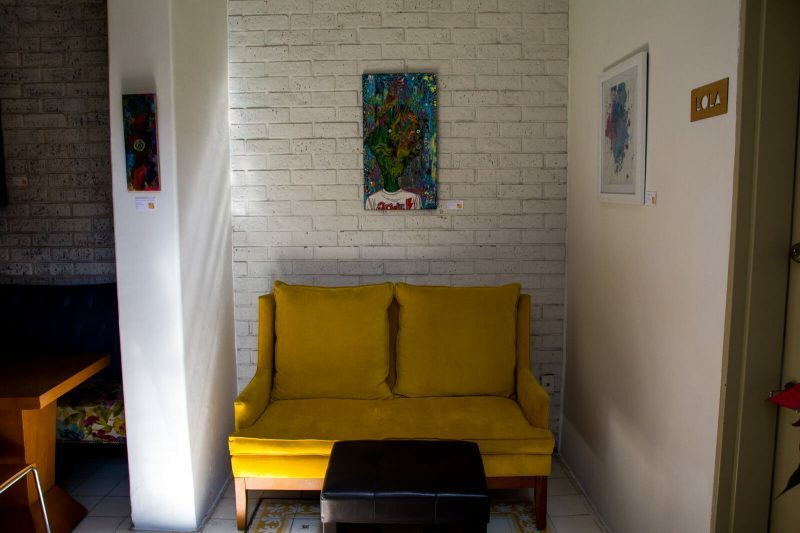 If you know me, you probably already know that I absolutely LOVE art and boutique hotels so you might understand why I was extremely happy to be hosted by La Fe Hotel and Arts, a fairly new boutique hotel in Guadalajara with its own in-house art gallery. Featuring spacious rooms with romantic balconies, a succulent healthy breakfast (granola for the win!!!) and a really kind and helpful staff, this hotel is your perfect base for all of your Guadalajara Day Trips my wonder friends!!! I hope you have enjoyed this article about the Tequila Day Trip from Guadalajara and more. Don’t forget to subscribe in order to get more awesome updates and tips straight to your e-mail! Have you ever been to Guadalajara? Would you like to experience a Tequila Day Trip with unlimited shots? What other Guadalajara Day Trips do you recommend? Share your thoughts and let me know what you think! Looks like a very cool experience. It’s too bad I’m Mexican and don’t like tequila. (Only because I had too much once).